Every bride should feel like a princess in her wedding dress. 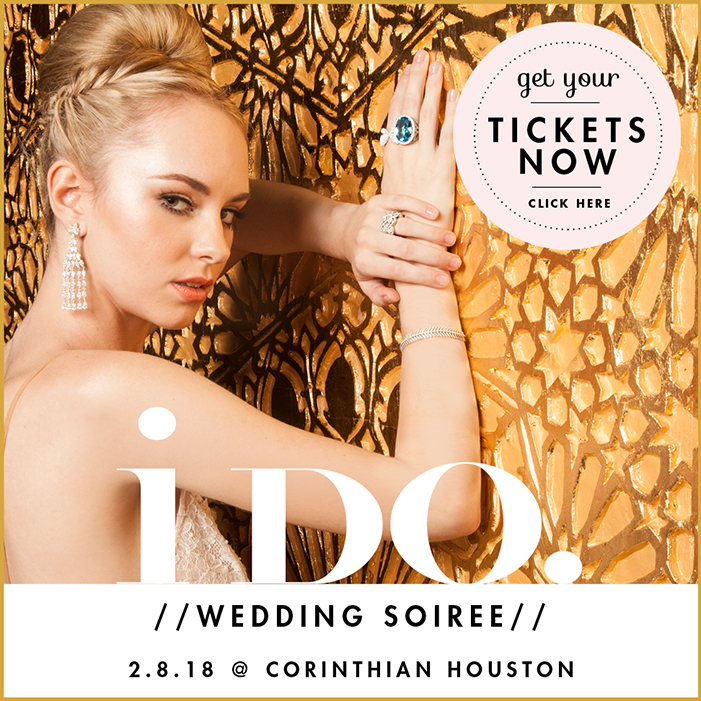 Houston brides know they can count on our local publication, Weddings in Houston, for wedding dress ideas, vendors, and more. 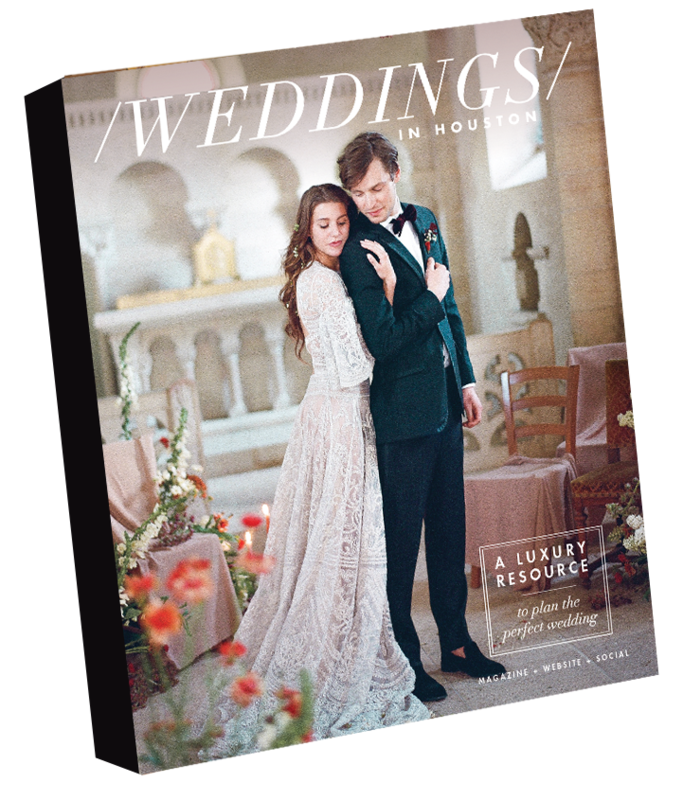 Purchase a current issue of our print magazine in local stores or access our most recent issue online to discover the magic of Houston weddings. Our team looks forward to delivering information any bride, wedding planner, or friend can use for inspiration and reference. Check out our Fall/Winter 2017 issue online today. Wedding gowns in Houston range from form fitting mermaid, sheath, and trumpet silhouettes to more traditional ball gowns and A-line dresses. Modern brides may also opt for a tea-length design, a formal suit, or a two-piece bridal ensemble. Wedding dress hues can be traditional white, ivory, champagne, or blush. More adventurous brides long for unique dresses with the right pop of color in underskirts, sashes, and dresses. Gown style possibilities are endless, and knowing where to look for your perfect wedding dress can alleviate the stress of wedding planning. At Weddings in Houston, our team of savvy wedding aficionados bring brides the inside scoop on wedding gowns in Houston. Our site always contains a list of featured vendors who may stock the right brands, silhouettes, and colors for your wedding. Some of our featured wedding dress shops include Joan Pillow Bridal Salon, MLD Limited, and MW Couture. Explore our latest listings to find the right stylist for your big day; and, remember to schedule a tour or request a quote for your favorites. 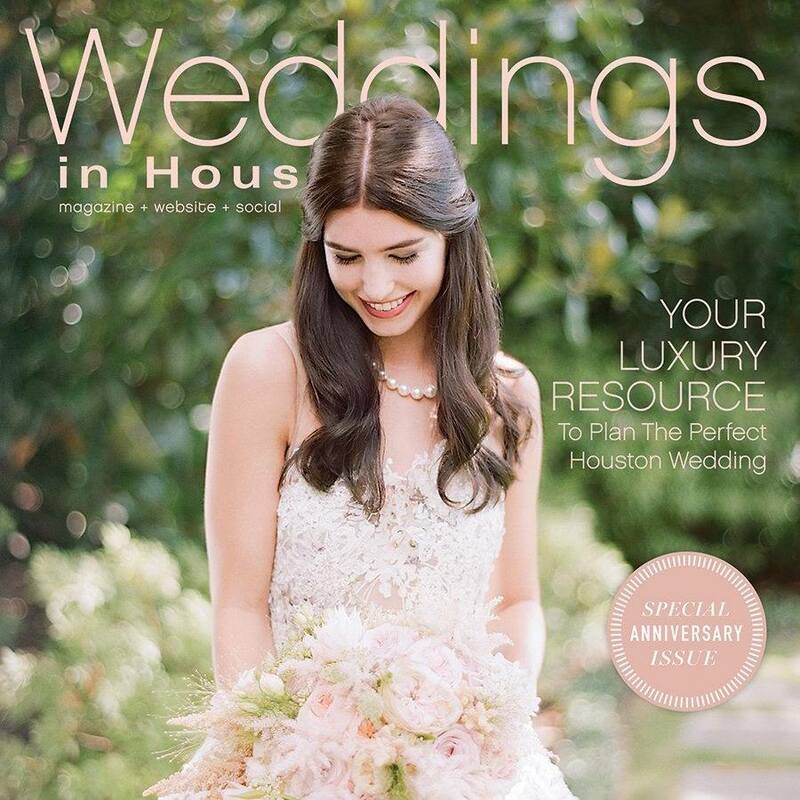 You won’t find another publication online or in print quite like Weddings in Houston. Our local focus and connections with caterers, venues, stylists, and stores allows us to bring readers valuable, in-depth details about real wedding planning in the area. We frequently feature real brides and their special days for inspiration, and post down-to-earth tips in our blog. Bigger magazines may look pretty, but they can’t show you the wedding day magic that lies in your own hometown. Consider our publication as your go-to source for finding a great wedding dress in Houston. As you search for dresses for your bridal shower, rehearsal dinner, ceremony, and reception, keep Weddings in Houston in mind. Our print editions are great to take with you as you shop. Bookmark or scrapbook the stunning images and descriptions that make our magazine so popular. Find the latest copy at Barnes & Noble, Kroger, Target, Walgreen’s, CVS, and other retailers or order a copy using our online form. Attend one of our listed events throughout the year to see the latest trends in wedding fashion and dress designs. If you’re planning a wedding, you deserve access to all of the possibilities available for your wedding dress in Houston. Eliminate the stress of wedding planning and find your fairytale dress when you explore the rich information in our online and print resources. We look forward to making every bride’s experience more exciting and fun. For more information about our resources, vendors, or publications call (713) 464-4321, or contact us today online.